Sharrow's car hit a closed gate and she drove back toward the main gate, where she struck Douglas Parkhurst, 68, of West Newfield before speeding away from the scene. SANFORD (WGME) -- A Sanford woman faces a manslaughter charge after police say she struck and killed a West Newfield man after driving on to the field of a baseball game Friday night. 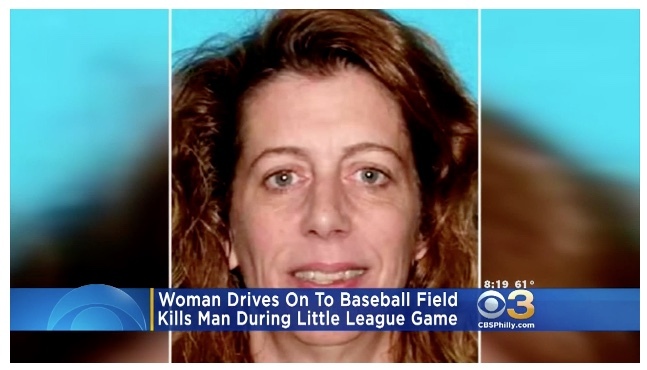 Carol Sharrow, 51, was arrested after police said she drove a car on to the field at Goodall Park shortly after 7 p.m. Friday.